Salutations Readers! I Have some small but cool news. 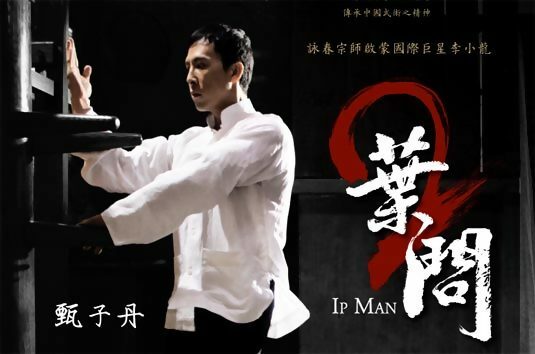 Do you Like The Films Ip man and Ip Man 2? Are you a fan of Donnie Yen? Well Hey Definitely have to peep the news below. Ip Man 3 looks like it will start pretty soon with both Donnie Yen as Lead and Hopefully Wilson Yip behind the Camera. The Movie will start Filming in 2015 but was supposed to start this year but you know things got in the way with Yip leaving and Donnie following but then jumped on board again only to say they have to wait a few years due to their other projects. A few Reports in Hong Kong have been releasing this news that The film should start-up in 2015, and That is the only info heard around the world. The News was first Reported by Blu-ray.com and haven’t seen anywhere else yet. Maybe I can get a Hold of Donnie and Get an update for later but for now this is all I have. Over all I’m am happy top hear that the Project will be going forward. While we wait a 2 years before its released we should re watch the other 2 films for a refresher.